I first thought this to be a Black Widow camped over my bed next to a crack in the ceiling. 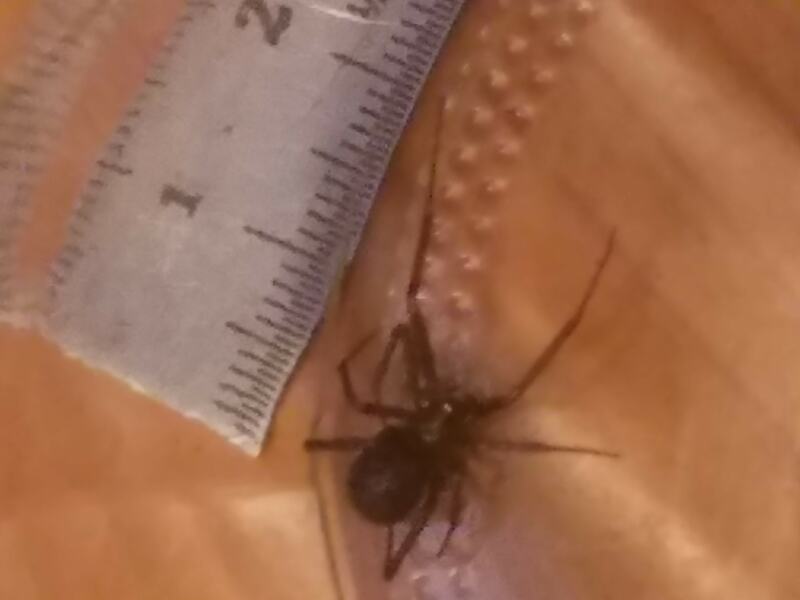 After not finding and red markings, I did some research and believe this to be Steatoda grosses (False Black Widow). There was one smooth eggsack that was a brown paper color. Hi, she probably is a Steatoda grossa (false widow), as you said.